Apple seasoning finally here, so it is time to make apple everything. Making apple sauce in the crock pot is one of our family traditions every fall. 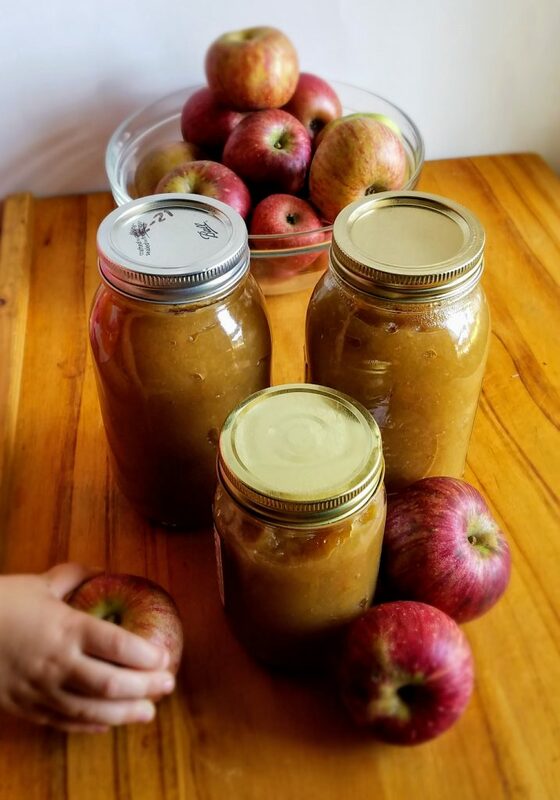 We always spend a day picking apples and having a picnic and then the next day it is time to make apple sauce. This recipe so easy and it always turns out delicious. 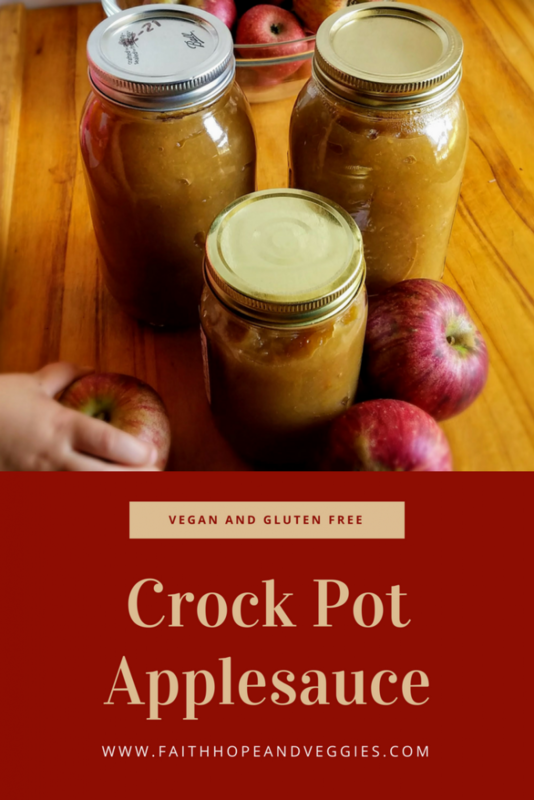 It takes quite a few apples to fill up the crock pot. I usually need about 12-14 large apples. If you have an apple peeler it makes it so much easier and faster to make the applesauce. I use my peeler for pie and crisp too, so I think it was well worth the investment. Once the pot is full just add a little water and cinnamon if you like it. It takes about 6 hours to cook. Then all it needs is to be mashed up and its ready to put into jars. I don’t actually can mine it just goes into the jars and then I freeze it until we need it. One of the best parts of making applesauce is how absolutely delicious it makes the house smell. Peel, core and slice the apples and add them into the crock pot. Fill it all the way up to the top because the apples will cook down a lot. Add in the water and the cinnamon if you are using it. Cover and put the crock pot on low for about 6 hours. Once the apples are very soft mash them up with a spoon or potato masher. You can also blend it if you like super smooth apple sauce. 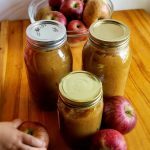 Put the applesauce into jars or sealed containers. Store the extra in the freezer until you ready to eat it.